It may not be for everyone, but it is at least an alternative to syringe phobia. Anything that makes dental visits better for the patient is step in the right direction. 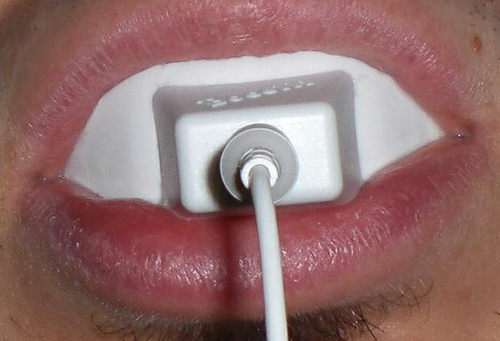 Another dental innovation is the device that uses your MP3 player to whiten your teeth! Refer to www.rockmyteeth.com for details and ordering of the Bocelli strips and sound system. Attach self-adhesive and dissolving peroxide-loaded whitening strips to your top and bottom teeth then put a custom mouthpiece between your teeth, plug it into your music source and turn the sound all the way up. The sound energy stimulates the peroxide and provides for a better, deeper, faster whitening process. The mouthpiece also includes headphones so you can listen to the music while you're whitening, but apparently you can hear the audio just fine through the bone conduction of your jawbone. 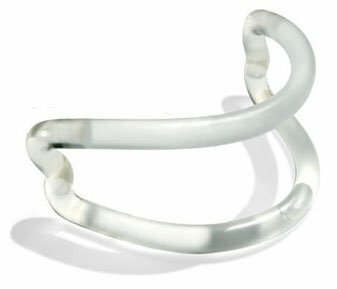 This entry was posted on Monday, January 28th, 2008 at 22:40 and is filed under Articles of Interest, Design Specials, New Product. You can follow any responses to this entry through the RSS 2.0 feed. You can skip to the end and leave a response. Pinging is currently not allowed.